The Malleefowl is listed nationally as Vulnerable and for every threatened species in Australia (listed in the EPBC Act) there is a Recovery Plan. The Recovery Plan sets out all of the actions necessary to stop the decline of, and support the recovery of Malleefowl and aims to maximise the long term survival in the wild of the species. 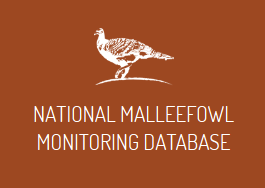 The National Malleefowl Recovery Team has members representing a wide range of interests. This includes farmers, scientists, community groups and government agencies. There are members from ACT, New South Wales, South Australia, Victoria and Western Australia.